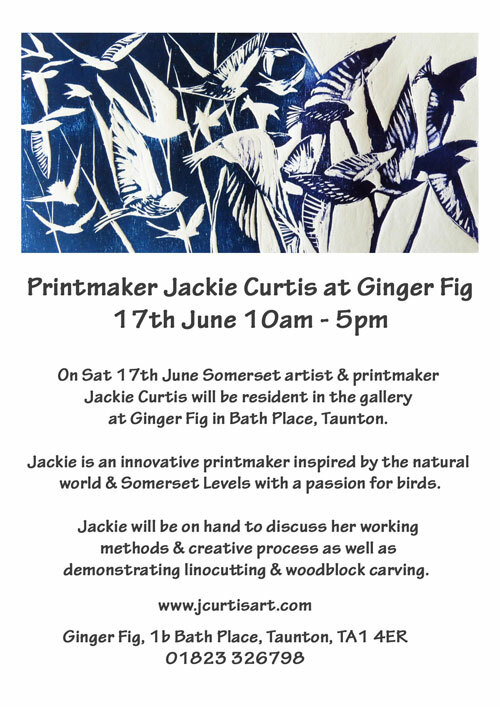 On Sat 17th June I will be resident in the gallery at Ginger Fig in Bath Place, Taunton. I will be discussing working methods & creative process as well as demonstrating linocutting & woodblock carving. I will also be bringing some extra browser work with me.